This year we’re spreading the love over two days! 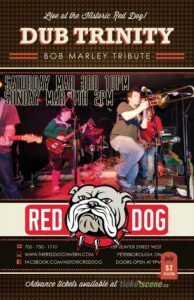 Saturday night’s tribute to Bob Marley was the loud, rocking night on the dance floor we always do on the Saturday night. This year we’re doing the kids and families show on Sunday. It’s a little quieter but the dance floor will be shaking all the same. The kids crowd comes out to PLAY!